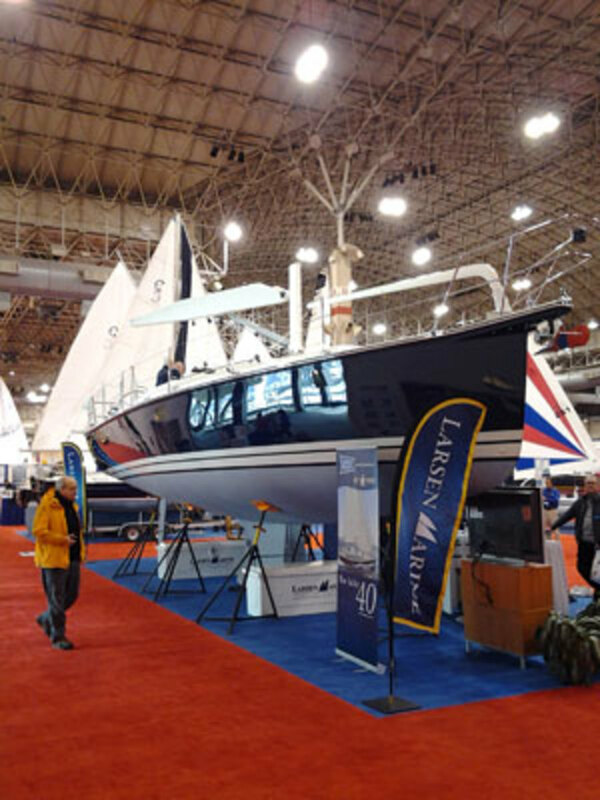 One of the true stars at the recent Strictly Sail boat show in Chicago was the Blue Jacket 40, which made its world debut there. A product of the combined talents of Island Packet Yachts founder, Bob Johnson, and former Tartan and C&C in-house designer and president Tim Jackett, the boat has been generating buzz for months now, and didn’t fail to deliver—there was a line of people waiting to get a close look at the blue-hulled beauty for pretty much the entire show. The boat presents an interesting blend of Island Packet and Tartan aesthetics, which is to be expected given the backgrounds of the two men who created it. 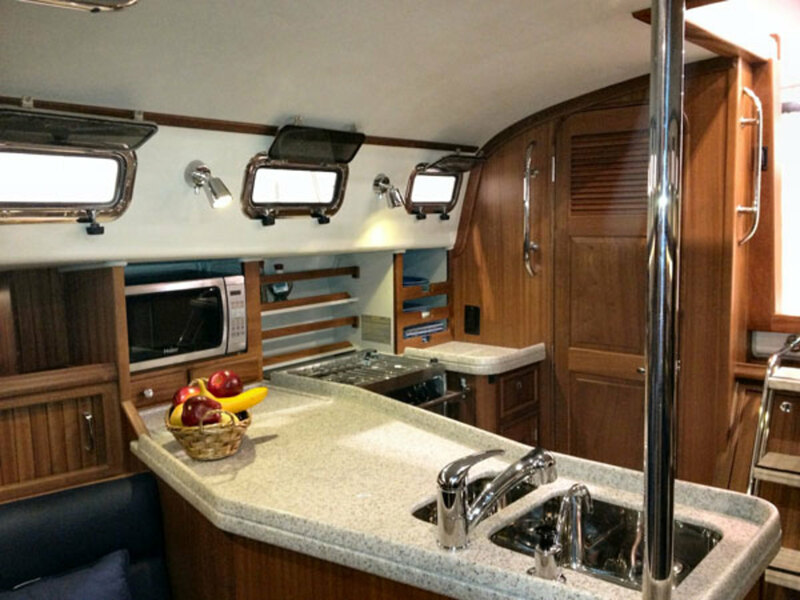 Not surprisingly, build quality and the quality of the fittings—from the rock-solid portlights, to the Hoyt jib boom and specially fabricated stainless steel steering pedestals—is top notch. In a departure for Johnson, who has made a name for himself designing boats with full keels, the Blue Jacket 40 has a fin keel and balanced spade rudder. Of course, this configuration is nothing new for Jackett. 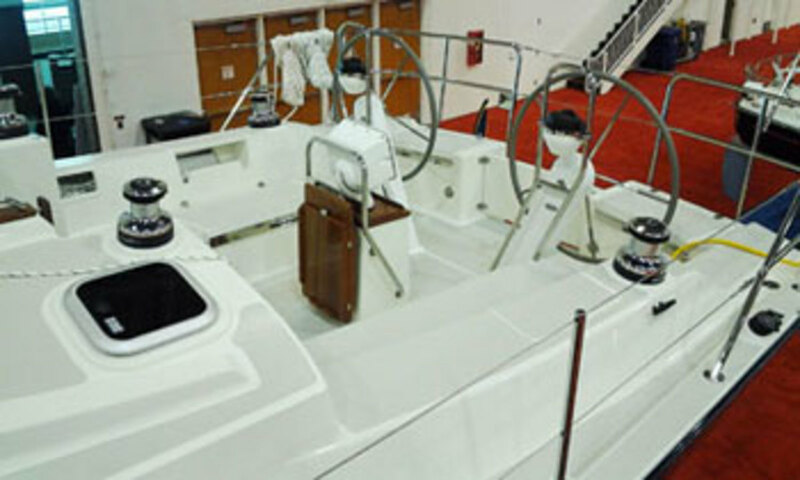 According to Johnson, the boat is designed to provide sparkling performance combined with the necessary sea-keeping qualities for safe, comfortable offshore passagemaking. The result is a boat that looks sturdy and fast, and is drop-dead gorgeous.